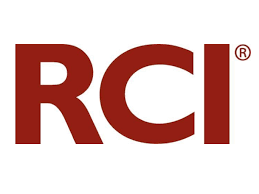 RCI is seeking a Digital Asset Management Specialist in Orlando, Florida. The Digital Asset Management Specialist purpose is to support Marketing, Business Development and Ecommerce teams so to deliver to RCI members their dream vacations. This is accomplished through an ever-improving user experience; internally in terms of DAM operations and externally for all brands and platforms by collecting, optimizing, publishing and assisting users to access high-quality photography and video (assets). The DAM Specialist’s primary responsibility is to coordinate with stakeholders at each critical step to ensure timely asset publication to RCI.com and associated sites as well as provide ready access to assets for marketing, business development and ecommerce operations. Adhere to high-quality standards and to our Count-On Me spirit. Responsible for and ensures compliance and maintenance of operational processes: ingesting, curating, organizing, general maintenance and management of assets in the DAM system, including lifecycle maintenance: expiration, archiving and associated issue management. Works with DAM team to identify and triage issues with IT support. Strives to be a Subject Matter Expert for Digital Asset Management, to that end stays versed of DAM training materials and error remedies library. Keeps current of RCI business and operational needs and DAM industry developments making recommendations accordingly. Participates in daily production meetings, keep Senior Administrator current on operations and significant issues. Demonstrated organizational and analytical skills with the ability to utilize data to recommend solutions and drive tactical operational decisions. Knowledgeable of digital asset management, best practices in managing assets and metadata taxonomy. Actively seeks improvement in areas noted above using company supplied materials and/or outside studies. Experience equivalent to the education requirement may be accepted in lieu of the education requirement. Working in a production/technical team environment and collaborating with associated teams and delivering on internal clients demands.